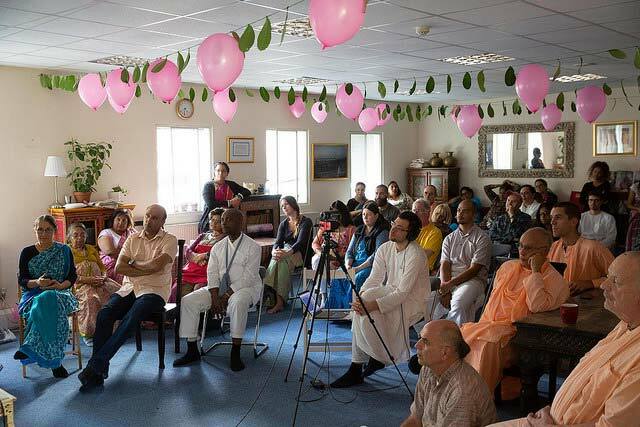 as long as you have life in the body, you must preach." 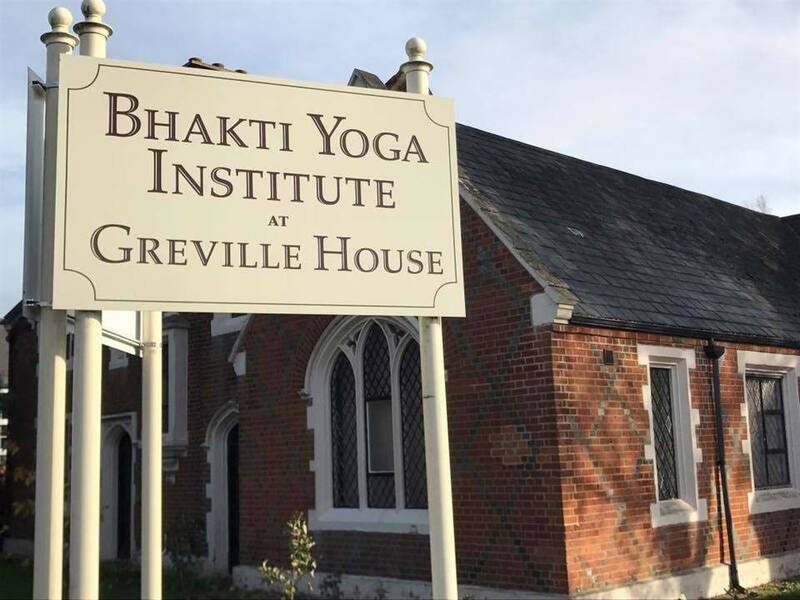 Above and below: new signs in front of the temple and at the entrance. 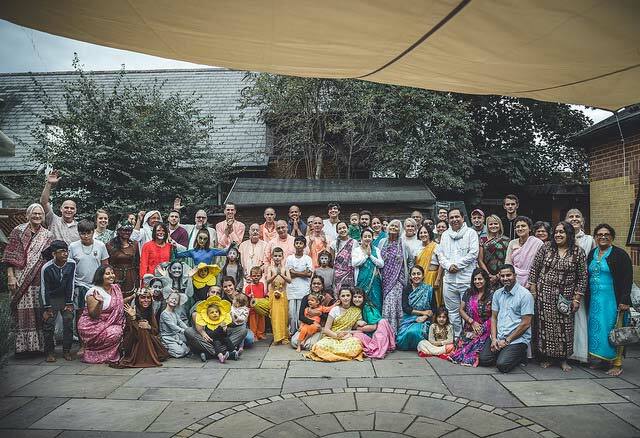 At the Fourth Anniversary Festival. 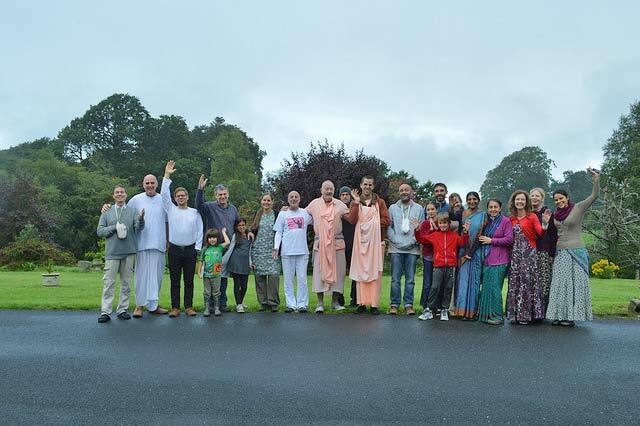 "Along with Sripad Tyagi Maharaj we are supporting and assisting our growing devotee family in Spain and Ireland. 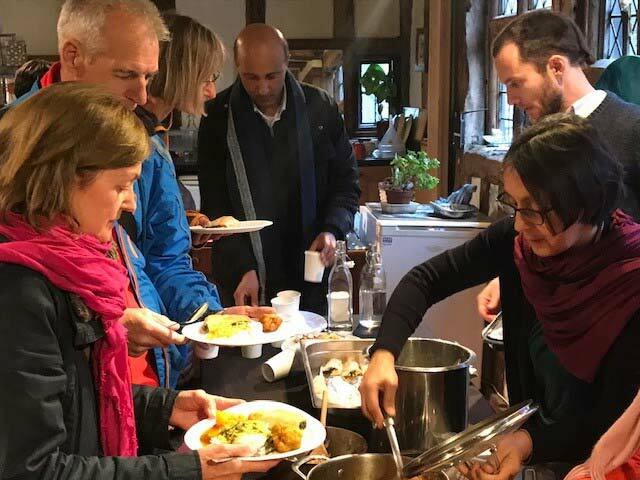 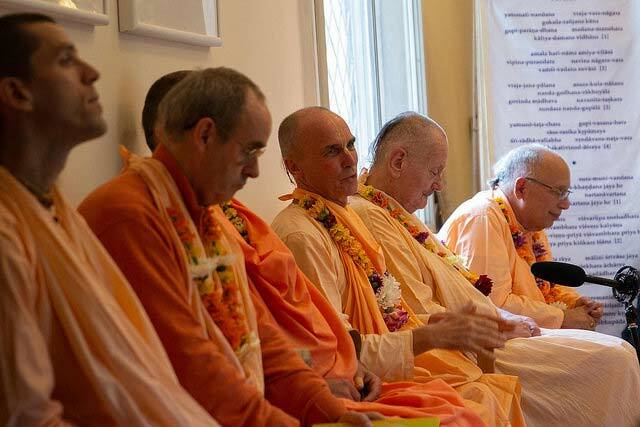 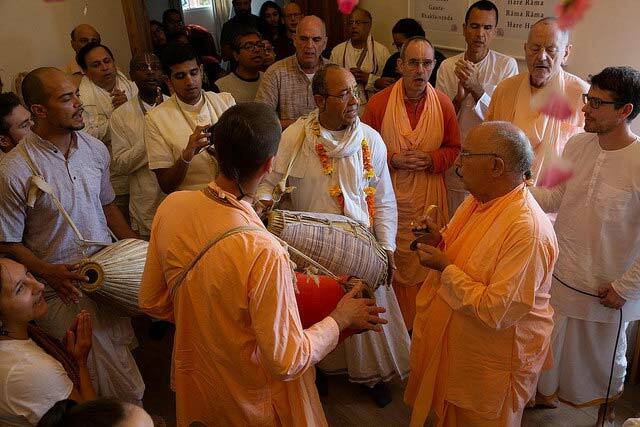 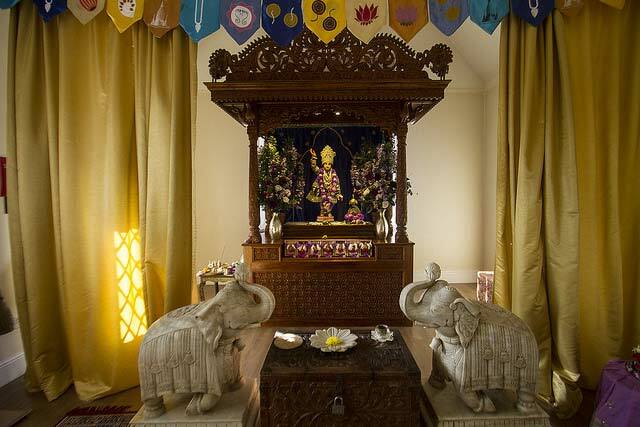 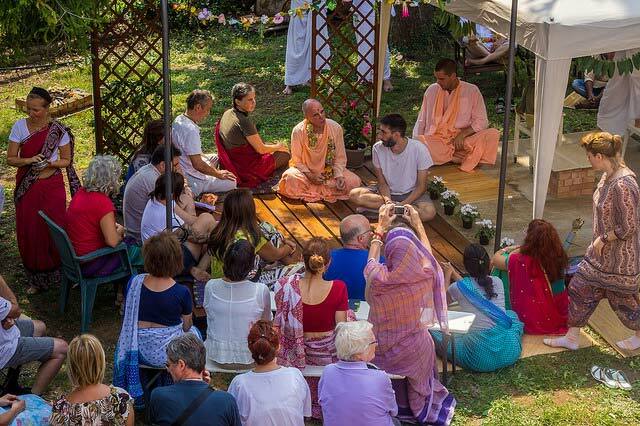 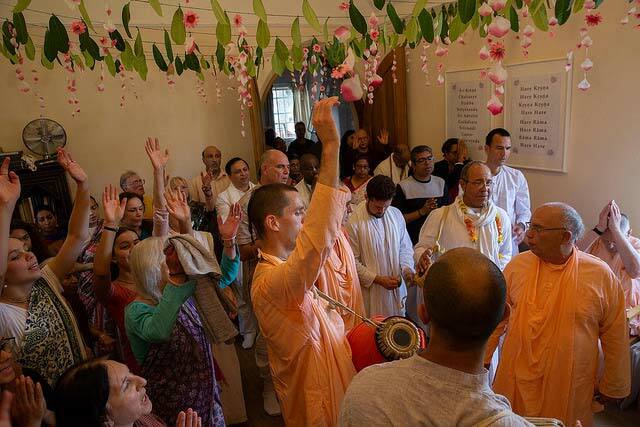 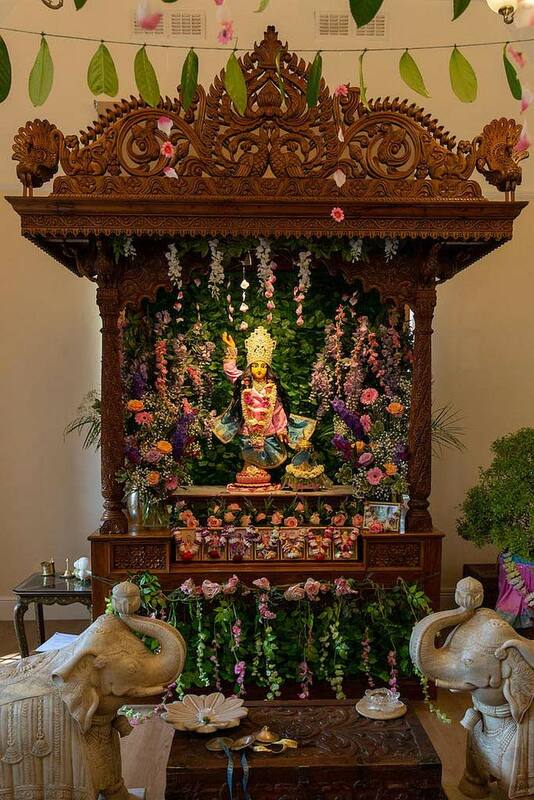 We also travel to the annual Italian Vaishnava gathering in Villa Govinda where devotees engage in devotional activities and are inspired through association." 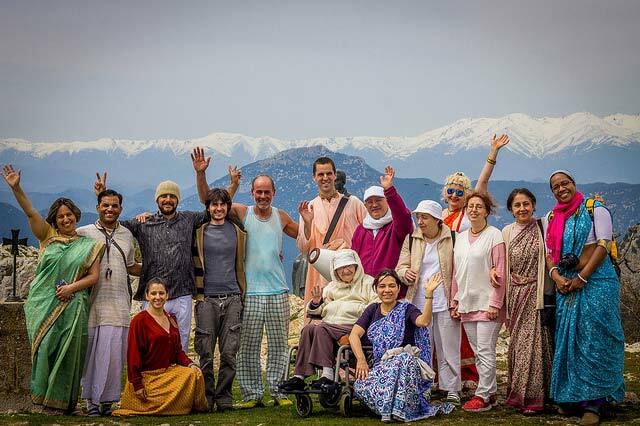 Pictured above with the Spanish community. 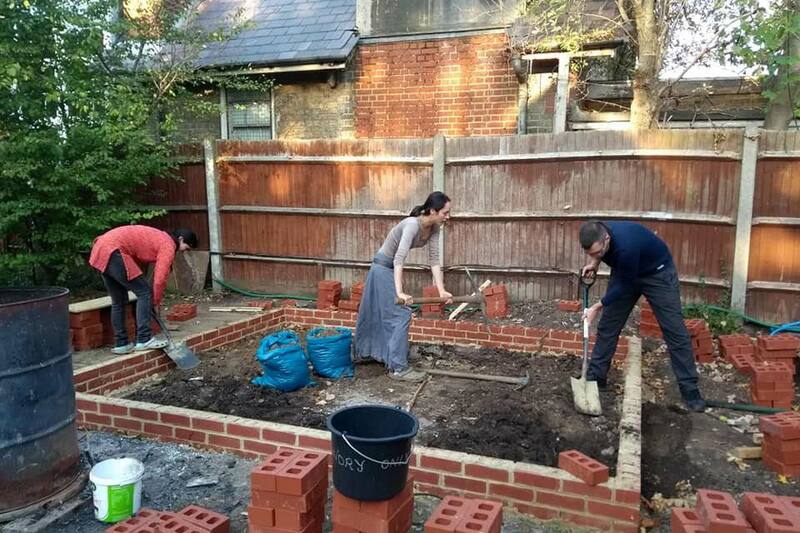 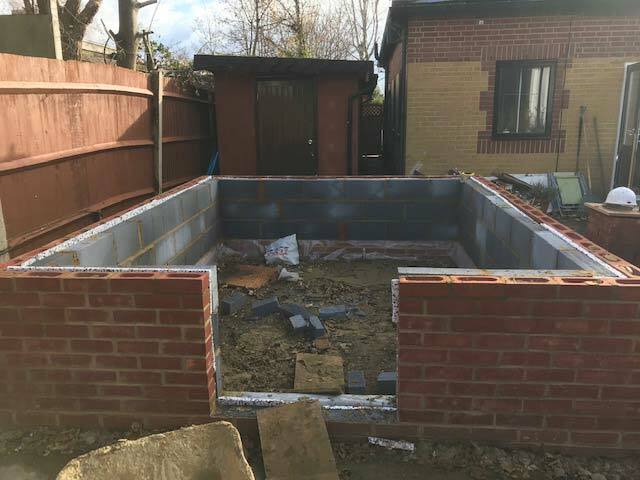 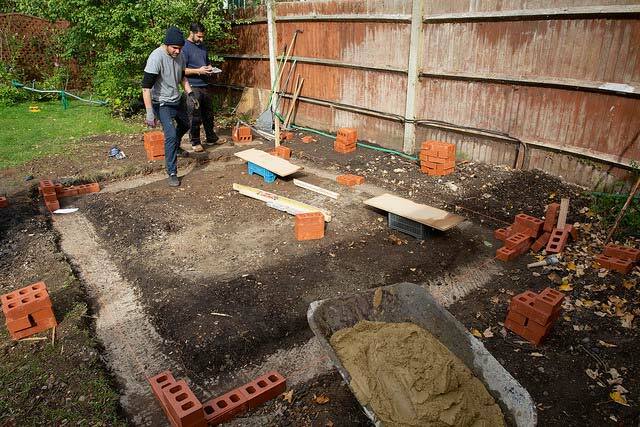 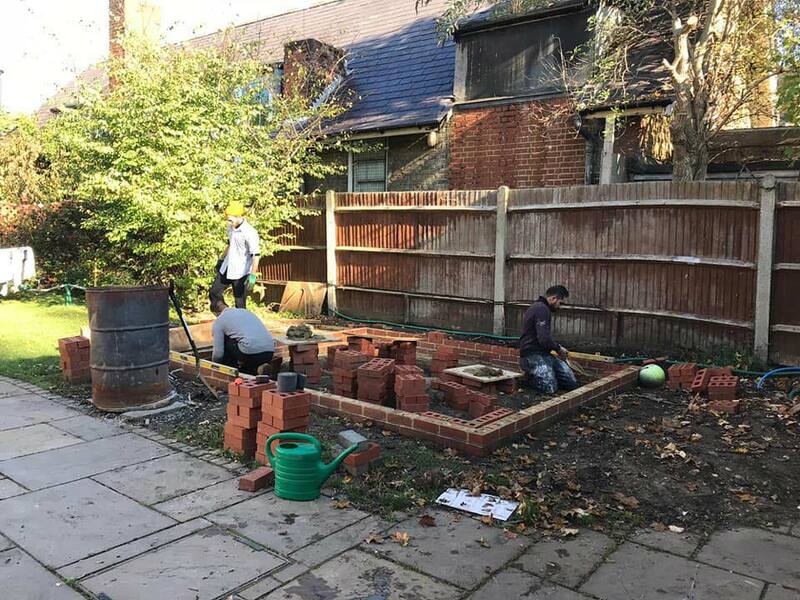 "Our current project is the construction of a new Tulasi House which is very much needed here in England due to the wet and cold climate." 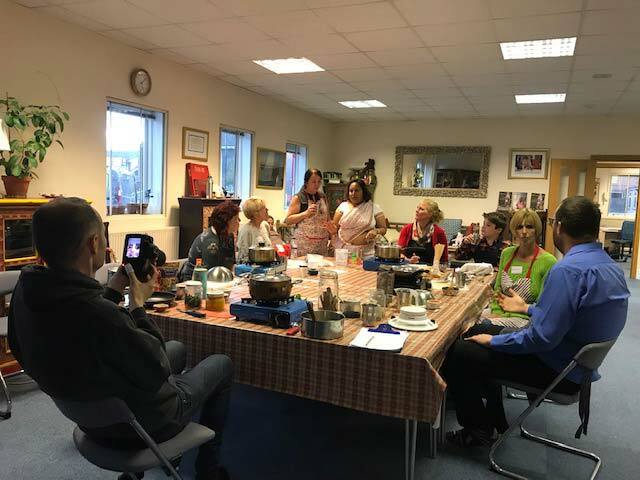 Pictured: a cooking class. 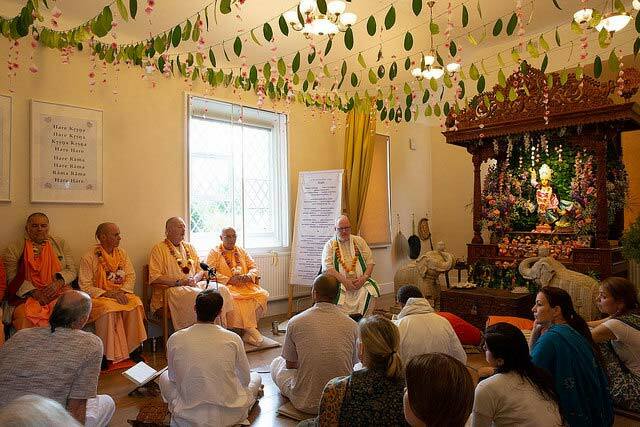 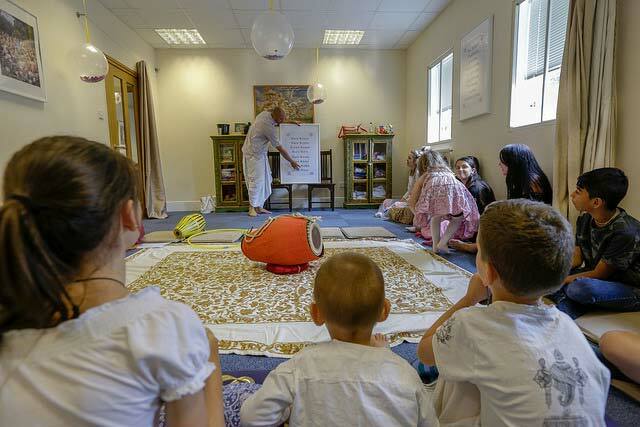 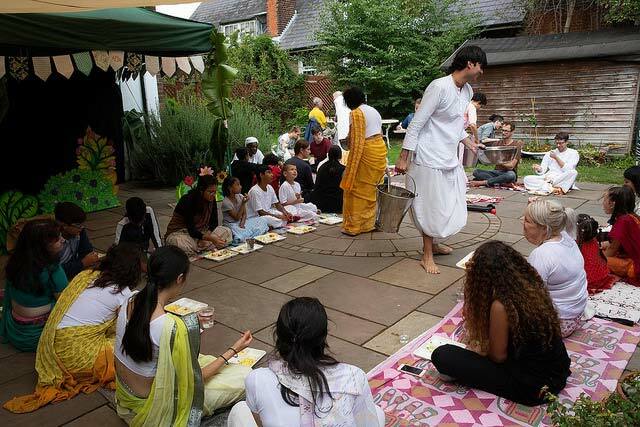 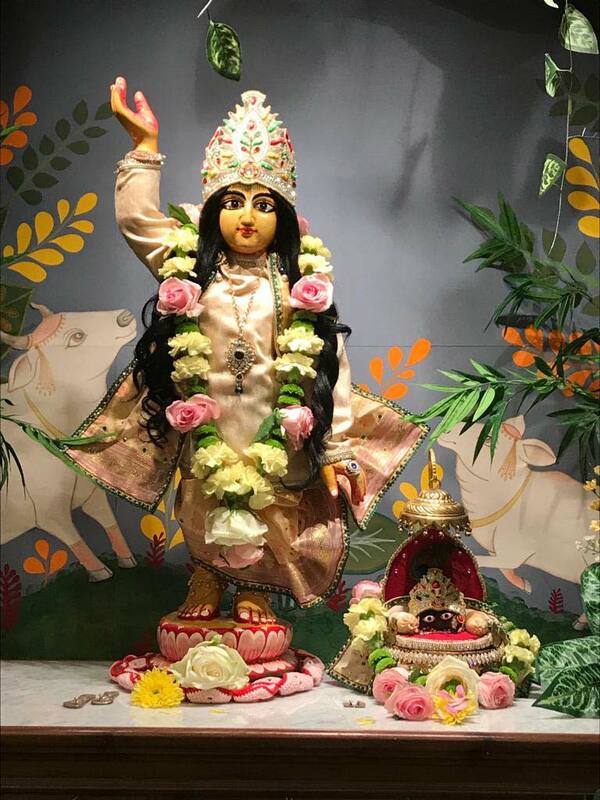 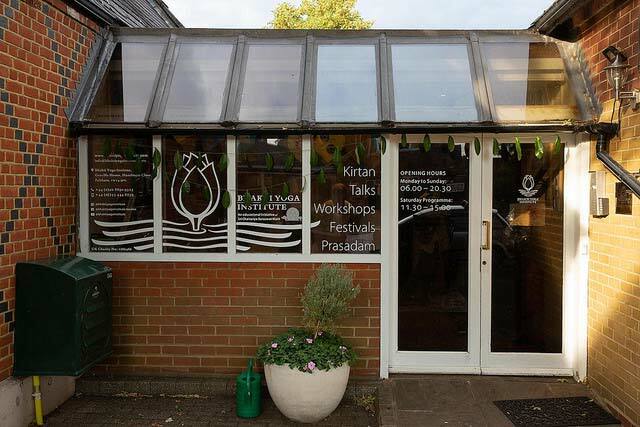 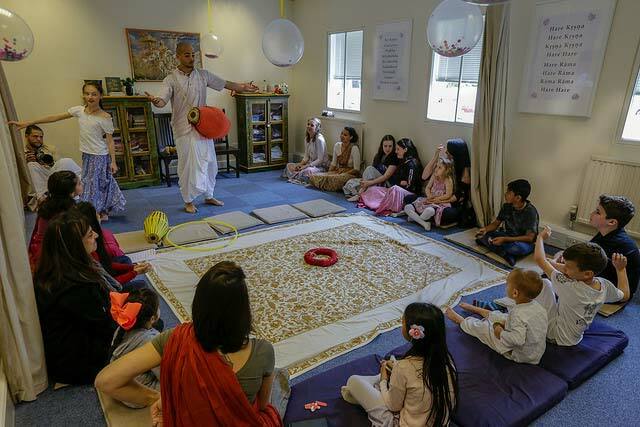 "In addition to the daily programmes and festivals, we also hold regular events with an emphasis on preaching and spreading the glories of our Guru Varga. 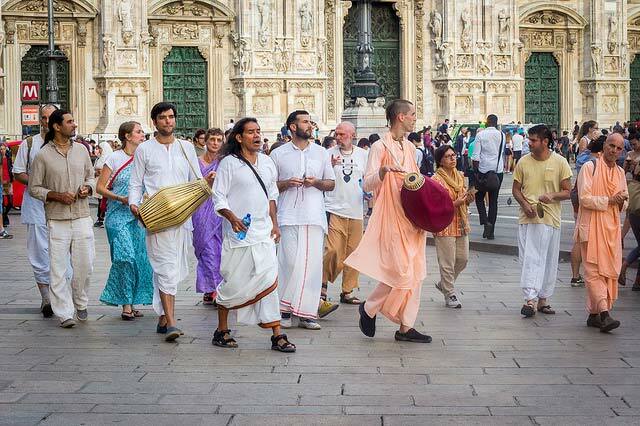 We have many newcomers because of these events." 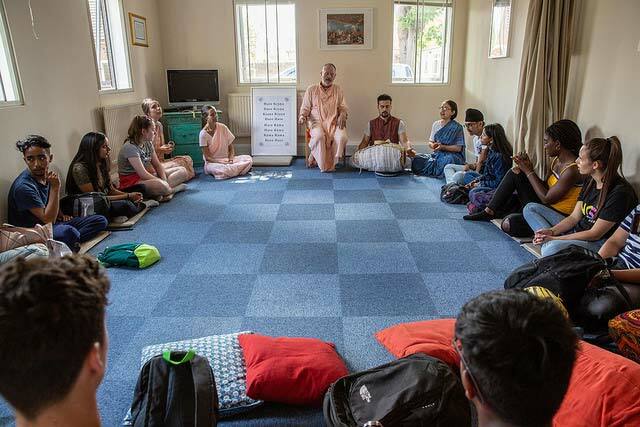 "Twice a year an organisation called 'The Challenge' sends us groups of young people who come to hear about our beliefs and activities at the temple." 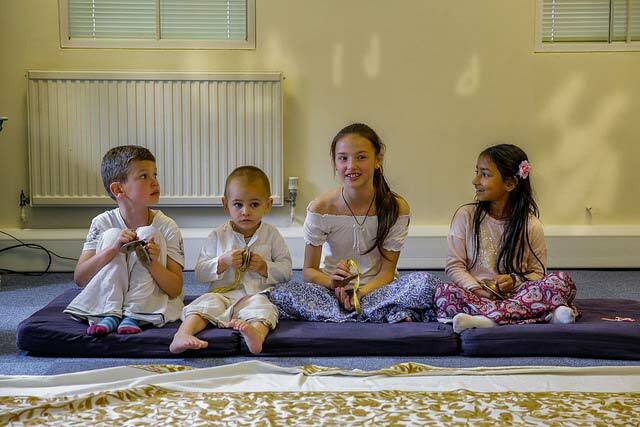 Childrens Day: "We have a growing number of children in our community and we feel it is important to nourish and encourage them in their devotional life. 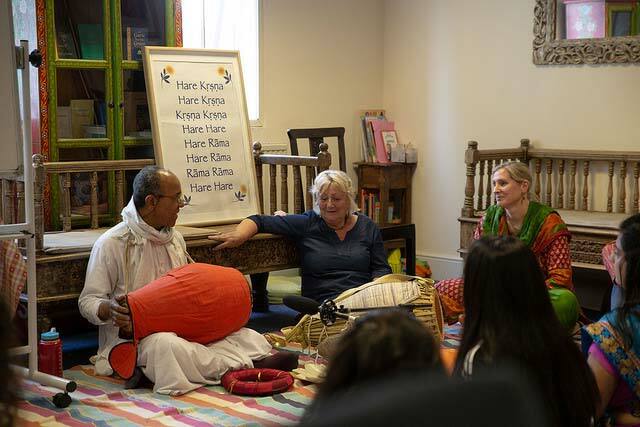 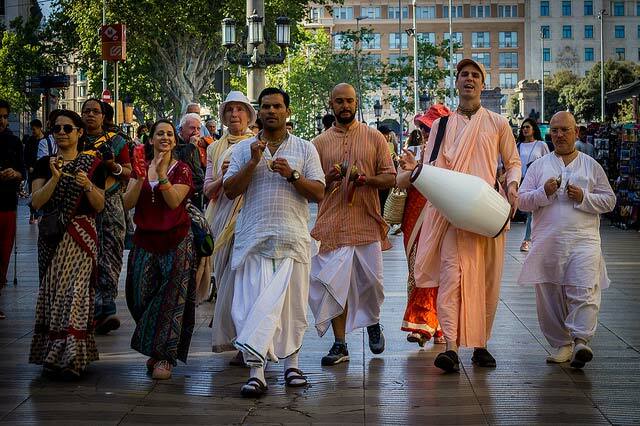 These days are a chance for us to focus on them with an emphasis on kirtan, games and seva."